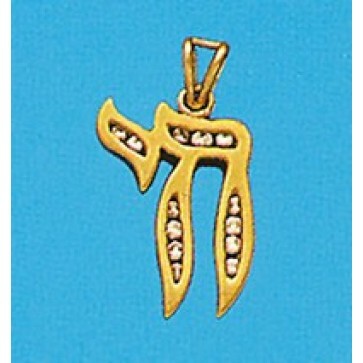 Lovely Chai symbol has .18 karats of diamonds inset in 14K Gold. In Judaism, the Chai symbol consists of the letters of the Hebrew alphabet Het (?) and Yod (?). In the Hebrew language, the word chai (??) 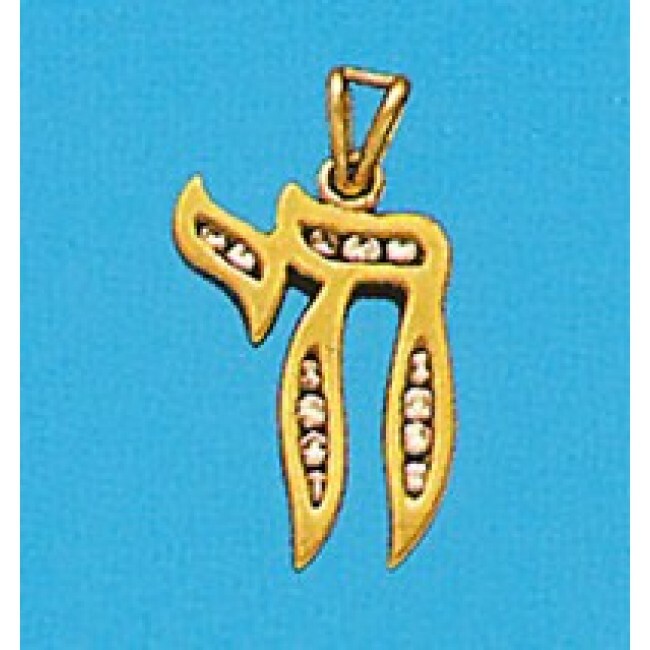 spelled by these two letters means "living", and is related to the word for "life", chaim, and also appears in the slogan am yisrael chai! (?? ????? ? ?, "The people of Israel lives! ", referring to all Jews).